The biggest hot air balloon event in the nation happens each September in Nevada. The Great Reno Balloon Race attracts nearly 150-thousand people every year! It's an enormous free show with the mission of celebrating the joy of flight! Dozens of colorful hot air balloons float over the city in a variety of different competitions and sky-high spectacles! 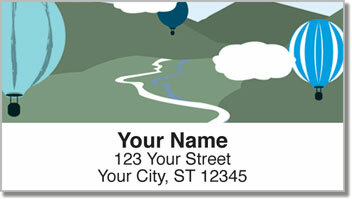 We celebrate this tradition with an attractive set of return address labels that will make your mail brilliant and bright! 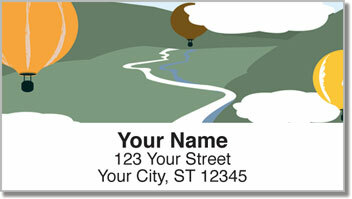 Balloon Race Address Labels from CheckAdvantage feature original illustrations you won't find anywhere else online. Plus, these convenient labels will help you save time finishing up an everyday chore. 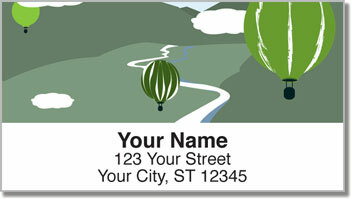 You'll never have to write your name and address on an envelope again thanks to this handy product with a self-adhesive backing. 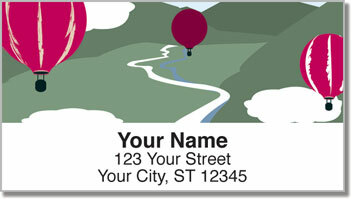 Get your own Balloon Race Address Labels today!